Wild pink daisy flowers blowing in the wind during a hot summer day. Pretty flower blossoms at different focal lengths together in a field. Flowers in Natural lighting. 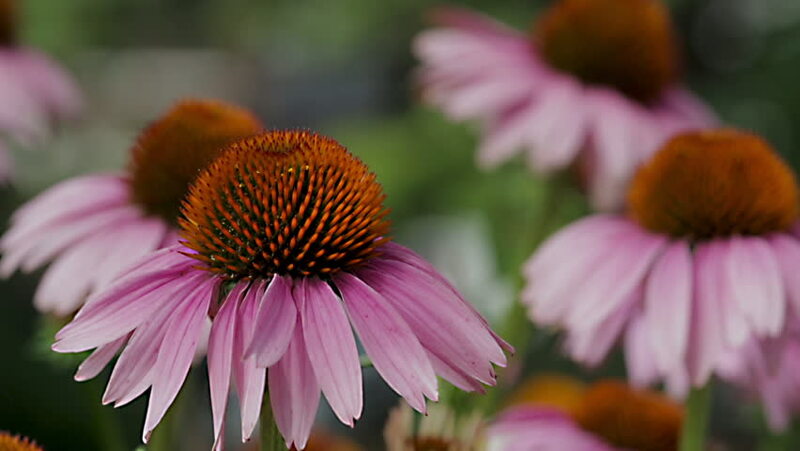 hd00:16Bee pollination the Echinacea purpurea plant. hd00:07Winged bee slowly flies to the plant, collect nectar for honey on private apiary from flower. Honey clip consisting for beautiful flowers, yellow pollen on bees legs. Sweet nectar honeyed bee honey.